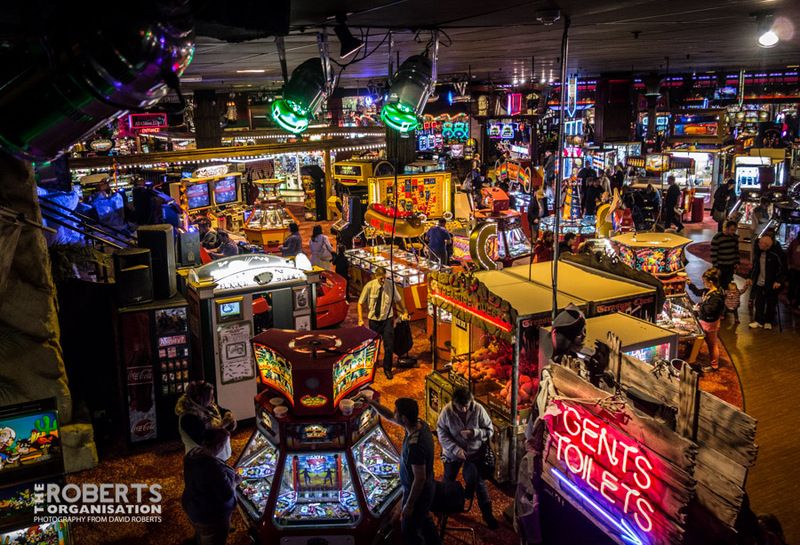 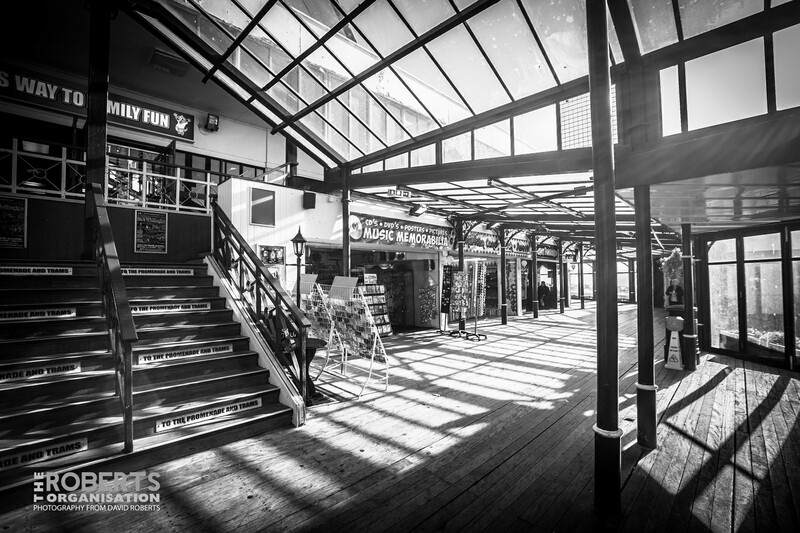 The bustling interior of the large Coral island Amusement Arcade on Blackpool’s Golden Mile. 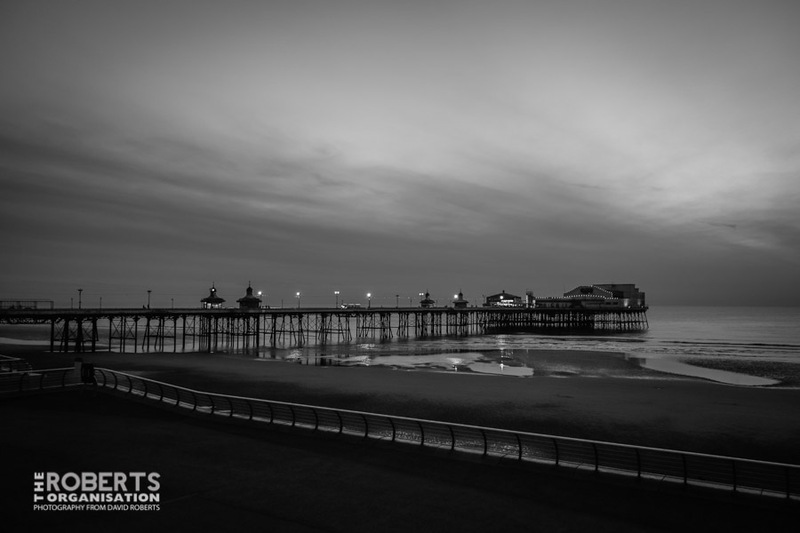 An atmospheric shot of Blackpool’s North Pier at Dusk. 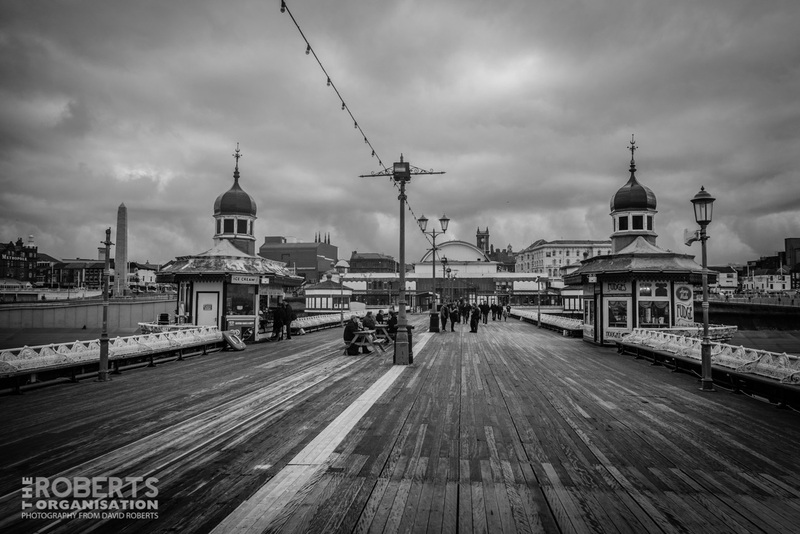 Looking back towards the Promenade on Blackpool’s North Pier. 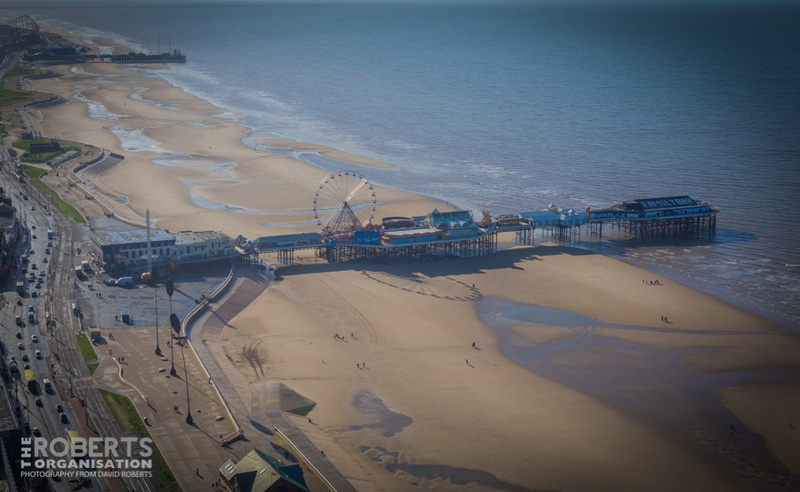 Looking down at Blackpool’s South Pier from the top of Blackpool Tower. 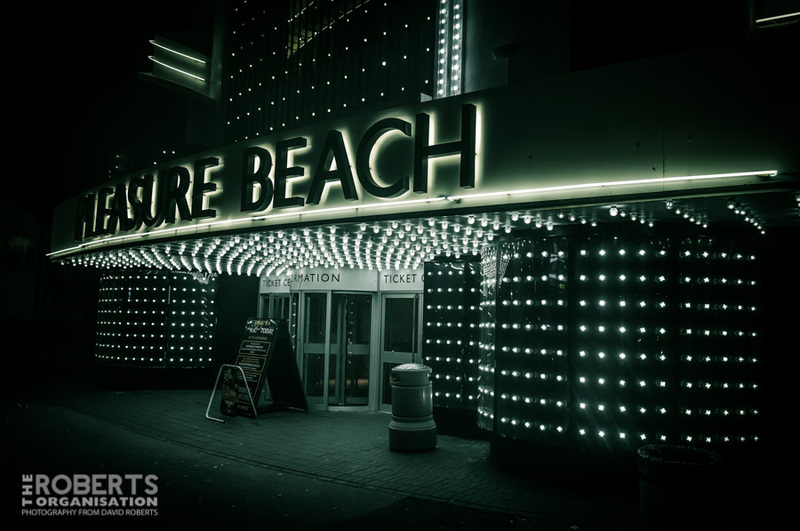 The brightly lit entrance to the Art Deco styled Casino Building at Blackpool Pleasure Beach. 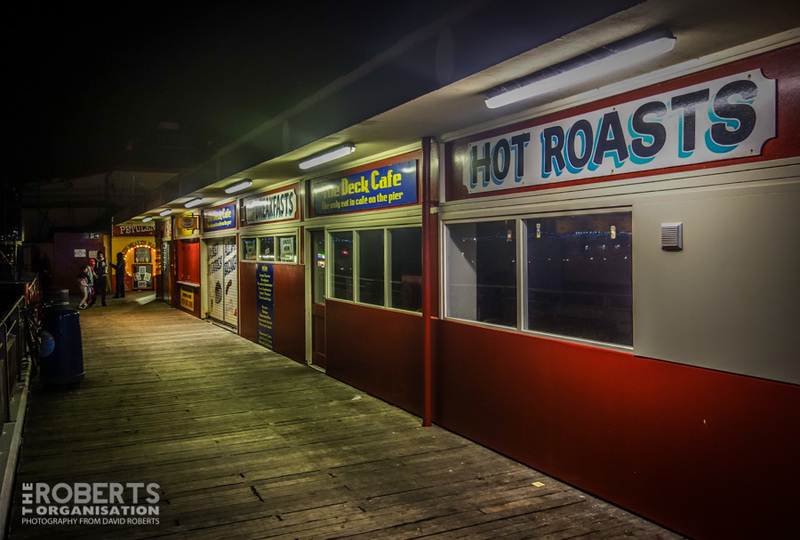 Kiosks on Blackpool’s South Pier. 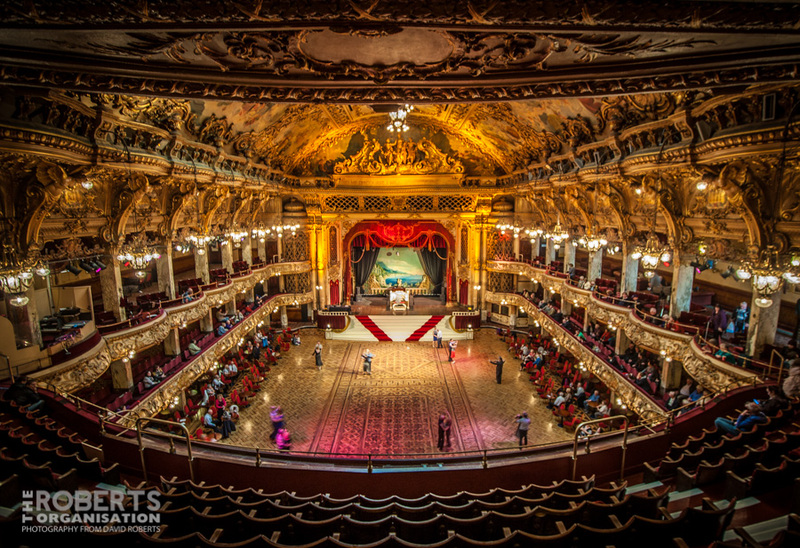 One of Victorian Theatre Architect Frank Matcham’s greatest designs, this is the Ballroom at Blackpool Tower, which opened in 1899.